Every farmer we work with begins by assessing their basic household food needs. This assessment works more or less the same for everyone: add up number of people and multiply by recommended consumption. The trick to making this an effective tool in the fight against hunger is to teach and empower the farmers to do this assessment themselves - and when no one is around to remind them. In practice, the Food Security Self Assessment catches on rather easily and becomes second nature once the farmers realize how useful it is for setting goals. And of course, how useful goals are in achieving success. After self assessment and goal setting, the farmers begin to ramp up the productivity and conservation strategies that we teach them. Not every strategy is new to the farmers. Many farmers will adapt their existing methods to meet their goals as well. As an example, we teach farmers about composting. Some farmers have never tried it before, but most have practiced composting in some form or another. The method is well understood, but the impact is often not quantified and targeted at predefined objectives. Irrigation is the same way. 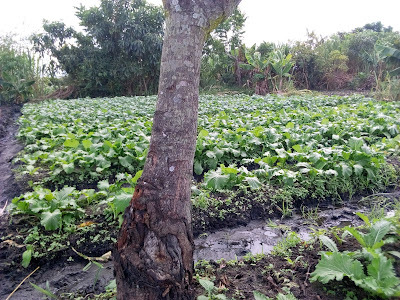 The basics are understood by most farmers, but irrigation is not applied in an integrated, systematic way to an overall plan that is leading the farmer toward food security. Gideon Lungu, from Chigonthi irrigation project, has a garden that receives runoff from fields above. 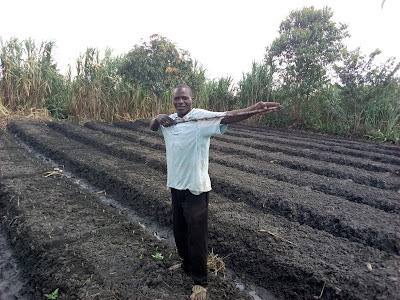 This garden has always been a place for Gideon to irrigate vegetables, but it never provided a significant amount of food until he laid out a plan toward a goal based on his Self Assessment. Now this garden is a stopgap between rainy season and dry season. 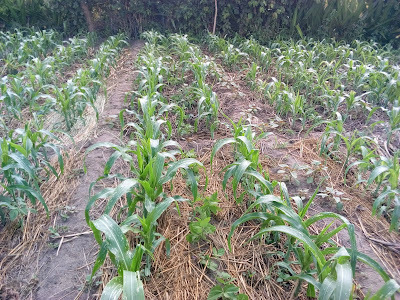 By using the residual moisture provided by the runoff, Gideon can grow maize in the entire garden several months into the dry season. The method is very useful when the rain has been unevenly distributed throughout the season. As yields are effected by erratic rainfall in the upper fields, Gideon's garden still receives a steady runoff. As the runoff dries up, Gideon begins drawing water from shallow wells. 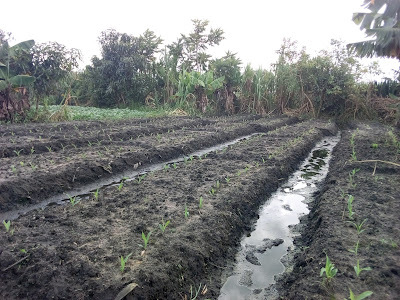 Techniques like Gideon's runoff garden provide a smoothing effect to spikes in food supply that are caused by unpredictable shocks like erratic rains, pests, and illnesses in the farmer's family. Farmers who use such techniques are not as worried about any one particular crop; their risks are spread out over multiple seasons, and they can specifically mitigate the major risks to any particular season by using the right strategies in subsequent seasons.